How to Select Wires and Cables? Why Buy Wires and Cables from Moglix? What are Wires and Cables? Wire is a type of metal which is either drawn or shaped in a way that it is far longer than its cross section. Normally, wires come with either round or cylindrical cross-section. Wires can be used in a wide range of applications such as electrical equipment, chain-link fences, hay bales etc. An electric wire is usually made of copper. Copper wires are best suited for use in electrical applications because of features such as resistance to corrosion, thermal conductivity, ductility, resistance to electrical overloads etc. A cable is usually made from two or more wires that tend to run side by side. They are bonded, twisted and sometimes braided together in order to create a single assembly. The end of the cables can also be connected to, two devices, thereby allowing transfer of electrical signals to take place between them. Cables can also be used in different applications such as the electronic devices which are used in power and signal circuits. Though users refer to wire and cable interchangeably, there are some major differences between the two. A wire comes with a single electrical conductor (a material like copper or aluminum that conducts electricity and enables it to flow through the wire). A cable, on the other hand, has multiple conductors which are wrapped in a nonconductive material known as ‘jacket’. 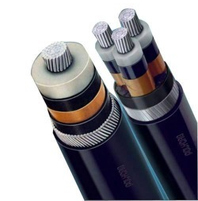 Co-axial cables include a central conductor and are surrounded by a soft insulating layer. This layer is surrounded by a metal shield which functions as the second conductor. The outer portion is covered with an insulating jacket. This type of cables is widely used in radio and TV transmissions where no risk of electrical interference can be taken. The outer shield layer is connected with the ground, thereby ensuring that all electrical signals which try to enter the wire are checked. Coaxial cables are a type of network cable. Co Axial cables are used in radio frequency signals as a transmission line. 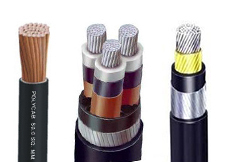 The applications of these cables include feedlines that connect radio transmitters and receivers along with their antennas, digital audio, computer network connections and distribution of cable television signals. 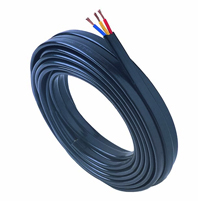 One major plus point of coaxial cables over other types of transmission line is that these cables have an electromagnetic cable that carries the signal in the space between inner and outer conductors. This enables a coaxial cable to be installed next to metal objects without any possibility of power losses that occur in case of other types of transmission lines. They also protect the signal from external electromagnetic interference. An Ethernet cable is a type of network which is widely used in wired networks. They are normally used to connect the LAN with devices such as routers, switches, and PCs. Ethernet cables are of two types-solid and stranded. Solid ethernet cables offer a better quality of performance apart from better protection from electrical interference. They are widely used for wiring business networks within offices or under floors of labs in fixed locations. Stranded ethernet cables, on the other hand, are less likely to suffer from physical cracks and breaks. They are ideal for people who have to travel on a frequent basis. 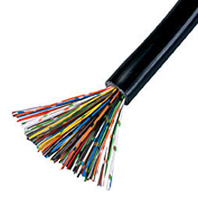 Ethernet cables usually support one or more industry standards such as Category 5(CAT5) and Category(CAT6). A crossover cable is a unique type of ethernet cable which is specially designed in order to connect two computers. 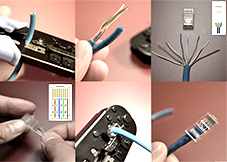 In comparison, most ethernet cables are designed in order to connect a computer with a switch or a router. There are two basic types of ethernet cables-solid ethernet cables and stranded ethernet cables. Solid ethernet cables offer a somewhat better performance along with better protection against electrical interference. They are widely used in business networks, wiring within office walls or under lab floors in specific locations. Stranded ethernet cables on the other hand are less vulnerable against physical cracks and breaks. Therefore, they are ideal for use while traveling. CCTV cables are a type of electric cable which are used in combination with communication and cable wires. Communication cables are used in order to record images using the camera. They are used in order to communicate with the data center. The new range of CCTV cables that have been launched in the market manufactured using the latest technology of gas injected foaming. They have low weight and enable loss free signal transmission to be done. Submersible cables are suitable for use in fresh as well as salt water with submersible. 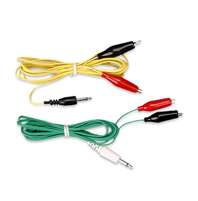 These cables are ideal for use in direct burial as well as inside well casting. However, the area within which they can be installed is usually restrictive. The shape and size of these cables, therefore, tends to vary. The new range of submersible pump cables are known for their strength and performance. The insulation and jacket of these cables are capable of withstanding even the most aggressive wet conditions. Finely stranded copper conductor cables have a high quality of flexibility and strength that makes them easy to handle and install. They are widely used in irrigation, industries, mine dewatering, drinking water supply, offshore drill rigs, fountains, aquariums, offshore drill rigs, sewage treatment plants etc. Computer cables are also known as cord, plug or connector. They are covered with plastic which is used for connecting a computer to a power source. Computer cables are of various types. 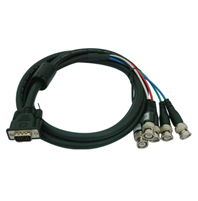 DVI (Digital Visual Interface) is the most widely used computer cables that are used these days. It is capable of being used in analog as well as digital. HDMI (High Definition Multimedia Interface) unlike DVI has the capability of sending both audio as well as video signals together. The USB cables are ideal for use in connecting all types of computer peripherals such as mouse, flash drive, wireless adapters and keyboards. IDE cables (Integrated Drive Electronics) are used in order to connect storage devices with a motherboard. 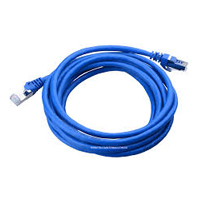 Ethernet cables are used for installation of LAN networks. Telephone cables are low-frequency balanced cables which are used in telephone networks in order to provide subscriber loops. Normally, two copper wires (tip and ring) for respective telephone line which runs from home or other building to that of a local telephone exchange. Within the building is a central junction box where the wires that go within the telephone jacks throughout the building meet with the wires. They might be connected in different configurations on the basis of the telephone service subscribed by the user. The wires that lie between junction box and exchange are called local loop and the network of wires that go within the exchange are called the access network. High tension cables are utilized for connecting with the ignition coil, distributor or magneto with each spark plug in a number of internal combustion engines. They are used in a wide range of applications such as AC & DC power transmission, ignition systems and instruments. While using these cables, you need to make sure that cable’s insulation doesn’t deteriorate because of high-voltage stress and ozone produced by tracking or electric discharges on air. The cable system should also check contact of high-voltage conductor with other objects and keep a check on leakage current. The cable joints and terminals are usually designed in order to control high-voltage stress in order to check breakdown of insulation. 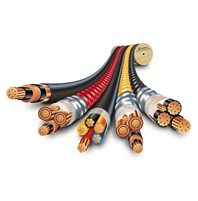 Often, these cables have a metallic shield over insulation and is connected to the ground and designed in order to equalize the insulation layer’s dielectric stress. Low tension cables are the cables whose primary task is to eliminate power shortage between posts. Large prints at both ends of the cable are compressed as per the cable's low tension. These cables lack tension and individual tensions that are known as ''runs'' have a height of 200']0ft. with an anchor assembly at each end. Because of this characteristic feature, low tension cables are normally kept on the ground so as a protection against multiple damages of posts. A power cable is an assembly of one or several conductors. They are held together in an overall sheath. This assembly is used in order to transmit electrical power. They can be installed in the form of permanent wiring within buildings, run overhead or buried on the ground. 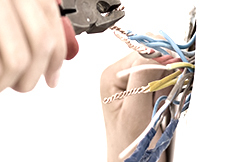 Connecting wires are used for attaching two circuits or components with each other. The gauge size of these wires needs to be large enough to absorb the flow of electricity. One of the first things that you will need to pay attention is the voltage of the wire or cable which you are going to buy. The insulation breakdown voltage of a cable is specified by the manufacturer post testing. You will come across this specification on the cable drum. If the specification is higher than the system voltage, then everything is OK. So, it is quite normal to use a cable with a voltage of 100']0V on a 24-volt system. The next area which you will need to focus on is the wire’s strength and durability. Selecting a cable of appropriate strength has more to do with common sense. The cables which are used within mobile phones are of very small size. The cable insulation should also be tolerant to other chemicals which it might get in contact with. The cables which are used in engine bays need to be oil and fuel resistant. One thing which you need to pay attention to is the ability of the wire/cable to handle currents safely without overheating it or its insulation. It can be calculated from the current that passes through the cable and its resistance (it will show the amount of heat which is generated). Experts always recommend users to opt for a much larger cable or wire. This is almost always the same for low voltage systems. Here, you will mainly need to pay attention to the acceptable volt drop down of the cable when a certain current passes through it. This is indeed a major issue which is commonly faced by buyers in case of low voltage systems rather than high voltage systems. Wires are measured on the basis of their gauge sizes. Though when these sizes starow bg-white pad-tb-15d to be used is uncertain, yet there is valuable evidence which suggests that 0 gauge was the size of the original blank before being drawn through any die. The succeeding numbers refer to the number of dies through which a wire is drawn through. Each of them is of consistently small size. Because of this reason, wire gauge sizes that fail to fit into any other measurement system. Neither do they follow any logical pattern. The very same gauge numbers are used in both solid and stranded wire, through in order to have the same cross-section area, stranded wires are usually of a slightly bigger diameter. A wire’s current carrying capacity depends on the wire gauge. A wire with a larger gauge can carry a greater amount of current without overheating. 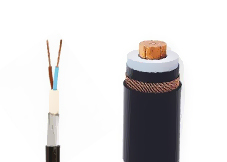 On the other hand, if a wire gauge which is too small is used in an application, there is a high chance that the copper wire conductor may heat to the melting point of insulation or in the case of power transmission applications, for the wire to stretch to the breaking point. Measure the distance which exists between the different components to ensure that the cables you select are long enough. This would be more important in case your cables have been shelved in a way which makes the rear panels difficult to gain access to. There needs to be sufficient slack to enable you to pull the component forward in order to reach out to the rear panel. But if it is possible try to avoid long cable runs as they are likely to cause signal degradation. Consider whether the cables and wires you are going to install will work effectively 10 years down the line or not. Consider the devices which you are likely to add to your property in the years to come. Use a pencil to detect the areas in a floor plan where you want the devices to be installed. Also, decide on the exact devices which you want to be present within the room. For instance, if want a greater number of devices to be installed within the room and have more power within the bedroom in order to listen to music or watch videos. You might intend to have greater functionality within the kitchen as well in order to gain control over all devices from a central location. On the floor plan, mark the areas where the wires shall run and the parts of the room where wall outlets shall be installed. Find out the devices which will require a coaxial cable and the ones that will require an ethernet cable. Decide which devices would be wireless and where they will be placed. 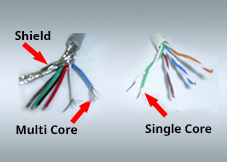 The structured at the minimum level comprise two coax cables and two pairs of unshielded twisted CAT5 or CAT6 for Ethernet connections. 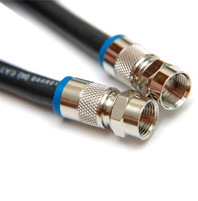 Coax cables provide upstream as well as downstream signals for satellite and cable channels. The ethernet cables can support up to 100'] Mbps for the networking devices. While working with cables, make sure that you don’t dent, twist or change the cable’s shape. At Moglix, we offer a wide range of wires and cables to match the needs of both home as well as office-based users. Our wires collection includes Reliance wires, Havells wires, Credence wires, Kent Wires, Finolex wires, Prima wires etc. The cable range available at Moglix comprises Polycab cables, GM cables, Universal cables, RRKabel cables, KEI cables etc. To make online buying a hassle free experience for buyers, we have classified our wires and cables category on the basis of brand and price. The product price of cables and wires have been kept within a wide range to suit the budget of all types of wires. Our collection of products in his range includes low tension cables, high tension cables, computer cables, CCTV cables, submersible cables, telephone cables, mounting and cable accessories, industrial wires & cables etc. The electrical wires which we are offering are available in a wide range of sizes and types. One thing which you should always remember while looking for electrical wires is that they are always insulated, which is not the case with other types of wires. 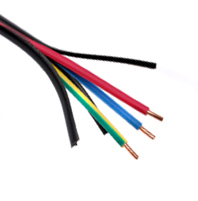 Electrical wires are sometimes made from copper because of the numerous advantages that copper offers. Other types of wires are usually made from steel. Insulation on the electric wire is essential to make sure that shocks and short-circuits do not take place between them. It is always wise to have a clear know-how of the exact type of application for which you require. Since there is a wide range of wires and cables which are available in the market, you will need to be specific when looking for them on Moglix. 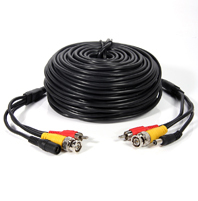 While looking for a cable, you may come across CCTV cables, telephone cables, computer cables etc. So, it would be better to opt for the exact type of cable which you require. Electricians often join aluminum and copper wires with plastic wire caps. This is not a wise thing to do because of the difference in thermal expansion between the two types of wires and the number of junctions in the electrical distribution system. Make it a point to have all connections in the panel as well as switches & outlets are checked every year by a licensed electrician. All the connections need to be secure. Unlabeled switches and receptacles are ideal for use only with copper. So, you will need to have these connecting devices changed from time to time. All the wires which terminate at plugs, lights and switches need to be given an anti-oxidation paste as the coating.